Hello and welcome to Bark Busters Home Dog Training Warrington. My name is Neil Price and am a Grand Master Dog Trainer and Behaviour Therapist having worked with more than 1000 dogs during my 10 years career with Bark Busters Warrington. I hold a Diploma in Canine psychology (merit), accredited by the SFTR (National UK Therapists Register) and I'm a qualified Kennel Club agility judge. As dog lovers we want our pets to be part of our family, but we often find ourselves becoming increasingly frustrated and desperate for help as we try to deal with unwanted behaviours. These can manifest in ways such as barking, jumping up, pulling on the lead, poor recall, chasing and even aggression to other animals or people. If you are finding your dog's behaviour challenging, you are not alone, and you have come to the right place for help to resolve the issues that are spoiling your relationship with your dog. As dog owners, we love our dogs, take them for walks and provide them with food and a nice warm bed. We believe they will not only love us back, but they will know instinctively how to behave in a way that pleases us. Unfortunately, this is not always the case. Dogs learn by their experiences and they need us to teach them by communicating with them in a way that is consistent and that they can understand. 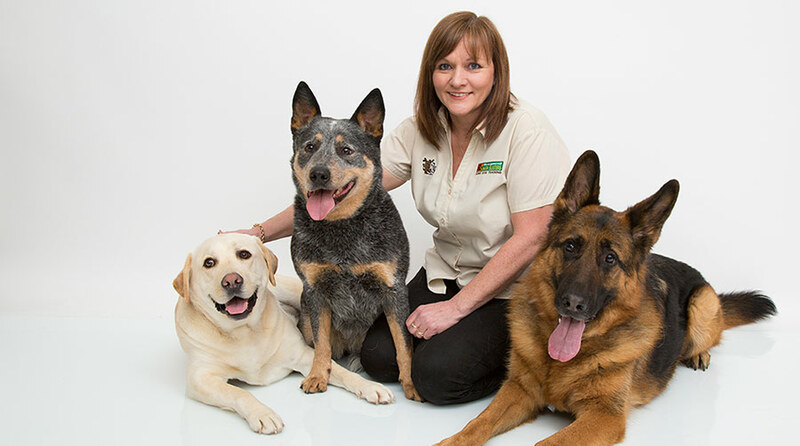 As a Bark Busters Home Dog Training therapist, I will visit you in your home, discuss the problems that you are having and develop a tailored plan that will get you and your dog communicating effectively. Before leaving, I will ensure that you and your family have mastered the techniques so that you can practice and continue the rehabilitation yourselves. Having been brought up on a farm, as a small child I was intrigued watching my dad control the working sheepdogs, making easy work of herding and penning the sheep. Also, there was always a Jack Russell in the house, doing the usual terrier type activities, being cheeky and naughty! Over the years I’ve owned various dogs, among them two lovely German Shepherds, looked after by family when I was away on business before I found my true calling! My wife and I have had as many as eight dogs at one time, including rescues and two pups bought following research to be sure they came from genuine breeders. That is something recommended to anyone thinking of getting a puppy. Our rescue dogs brought their own issues, but Gemma in particular was a major challenge. Taken on as a 15-month-old working sheepdog, she did not have the best start in life, was naturally a nervous, timid girl, which caused her to be defensive using aggression to both strangers and other dogs to try to protect herself. She had never been house trained, so we had lots of accidents to begin with. We were making slow progress with her when I decided to study for my Diploma in Canine psychology accredited by the SFTR (National UK Therapists Register). I was pleased to achieve merit status and the knowledge gained helped me understand and help Gemma. Then soon after, a friend mentioned that there was a position available at Bark Busters in Warrington, having always wanting a career with dogs, they showed me how to achieve my wish. Once my Bark Busters residential training was over, I continued to work with Gemma and made speedy progress, nurturing her trust and confidence that I would keep her safe. We were able to start National Kennel Club Agility competitions, something I loved doing and ultimately Gemma gained the Agility Warrant Gold award; the highest award issued by the Kennel Club. 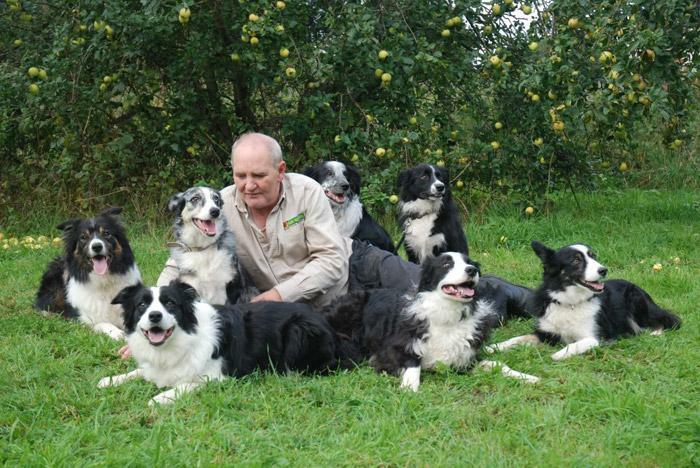 Gemma is a Border Collie, but I work with any dog of any age and with any behaviour problem. I am also able to help you with puppy training, or when adopting a rescue dog. I work closely with Cheshire Dogs Home and help to prepare some of the more difficult dogs for re-homing. I also support adopted dogs in their new homes. A recent success was my help in the rehoming of "Chance", a very boisterous deaf American Bull Dog. He had been struggling to find a home as his behaviour was difficult to manage and training a deaf dog can be very challenging for new owners. By teaching him the basics whilst he was in the Cheshire Dogs Home, and by following up with him and his lovely adopters, in his new home, I was able to ensure that his relationship with his new family was going to be a lasting one. The Bark Busters training methods are fast, effective and long lasting. You can often expect to see results very quickly, once you learn the techniques needed to communicate calmly in a way that your dog understands. I will teach and support you and the Bark Busters Support Guarantee will give you the confidence that I will return free of charge throughout the term of your guarantee should you need it. This ensures you can fully enjoy sharing your life with your dogs.